- Keeps skin oil free. Astringent Lotion that we provide to our customers is an ideal skin treatment solution for oily skin. This product with its right formulation effectively reduces oiliness by reducing the size of the pores. Our products are made out of natural extracts and are extremely pure and curative. These products can be availed by our customers in industry leading price rates. 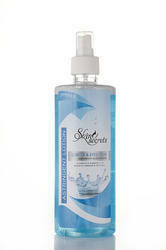 Zordan Herbals Astringent Lotion is very useful as well as best make up remover. Natural ingredients present in clear tone help to dissolve the make up. It will tighten the skin while removing the makeup effectively. We offer a highly effective astringent lotion to our valued clients. This astringent lotion is a herbal preparation which contains aloe vera, camphor and mint. The antiseptic and cooling properties of this astringent lotion check the secretion of sebum. This astringent lotion is best suited for oily and acne prone skin. Darrick Astringent Lotion has been specially formulated to reduce oil secretion and effectively control acne and pimples. It gently but effectively deep cleans the pores, and removes excess oil to keep your facial skin clean and refreshed. We are offering Facial Astringent to our clients. It helps the skin feel fresh, young, smooth and firm, with the pores cleaned out. Controls excess oil secretion and makes your skin oil free. Method of use: After cleansing pour a few drops of Astringent on cotton pad and wipe toughly over face and neck. KEY INGREDIENTS Aurofair Astrigent contains extracts of Turmeric, Vetriver, Cinnamon, Mint & Wheatgerm oil. We are identified as one of the reputed manufacturers and suppliers of astringent. The offered products have special botanical extracts which help to control excess oil from the pores. Moreover, these are also useful in reducing skin impurities leave make the skin glow. Further, the products are available at leading market prices for the clients. - Size available: 100ml, 400ml, 800ml. We are the manufacturer of cessy cleansing lotion. Our company has gained immense experience in the field of presenting Face Astringent Lotion. 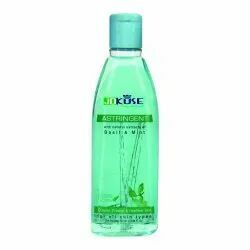 Astringent with Goodness of TULSI & MINT (500ml net).